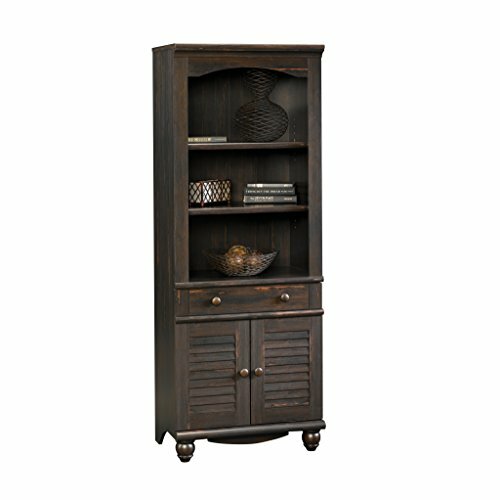 The Sauder Harbor View Library Bookcase in Antiqued Paint finish offers ample storage for your favorite books and decorations. It features a distressed finish that provides an antique look with a natural and unique style that will add an appealing touch to your interior design. It features five shelves, three of them adjustable as well as an enclosed back panel that offers cord access. This unit offers an easy-living cottage look and makes an ideal addition to most any room.